One way to deal with the holidays is to take control. Don’t want to eat half a cheddar cheese ball? You don’t have to if you bring your own snacks. All of the ten snacks below are easy to make and will add some vegetables and fruit to a time of year that could use some. Give these a try and tell me how they are received. Any complaints when you don’t bring the baked brie? I love the little Reubens. Quick and easy. 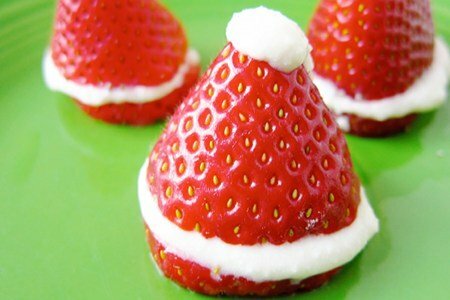 I love the strawberries that look like Santa's Hat! So clever!!! Going to scope out all of your picks!